Stroll through our magical Firefly Village built among the treetops in the heart of the Smokies. 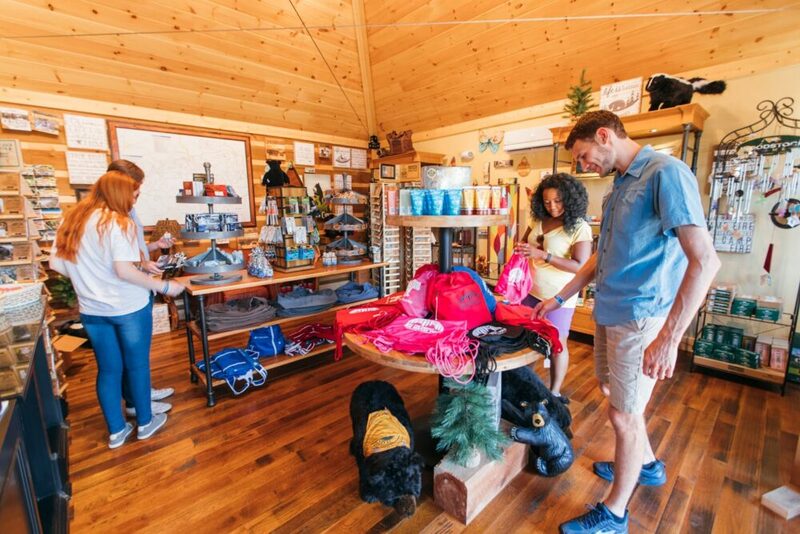 Enjoy treehouse-themed shopping and dining while taking in the numerous scenic overlooks and our nearly 360-degree view of the surrounding mountain range, including Mt. LeConte as well as the extraordinary views of sparkling downtown Gatlinburg too. Want to see what is happening at Anakeesta right now?! DINING – Anakeesta’s newest addition, Cliff Top, located in Firefly Village at the top of Anakeesta Mountain, offers delicious dining with an even better view. 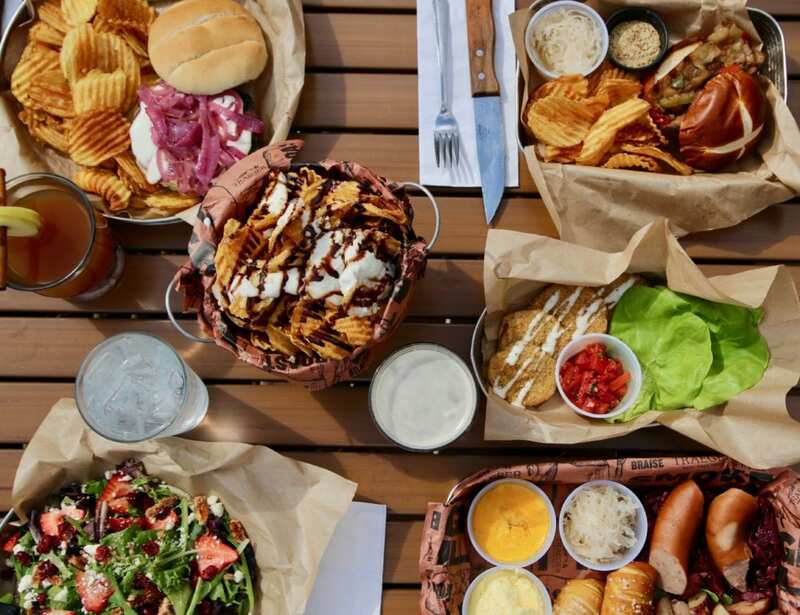 The menu includes ½ pound char-grilled burgers, entrée salads, house specialties like our Smokehouse Stacker, our famous bucket -o- chips and so much more! Admission to Anakeesta gives you access to Cliff Top. So NOW is the perfect time to buy an annual pass for the price of just two trips to Anakeesta. Then you can enjoy these beautiful scenic views and our delicious menu at any time! THE BAR AT THE TOP OF THE WORLD – Enjoy a drink in our spacious bar area adjacent to our Cliff Top restaurant where you’ll experience this one-of-a-kind setting. 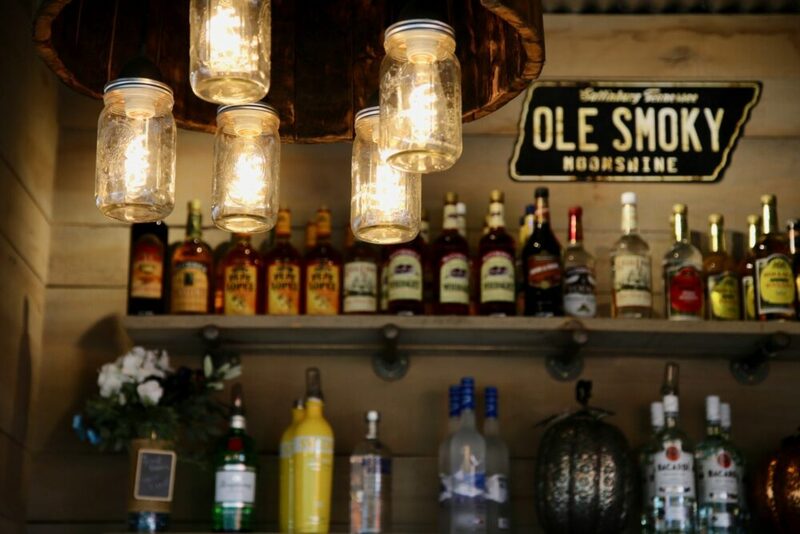 The views of the Great Smoky Mountains surround you as our bar serves your choice of liquor, specialty cocktails, wine, and beer. DINING – Enjoy a scoop of creamy hand-dipped ice cream by Bluebell; cones, milkshakes and sundaes. You’ll step back to Gatlinburg in the 1940’s when visiting Pearl’s Pie in the Sky! DINING/BEER CART – Bring a hearty southern appetite! At the Anakeesta Smokehouse we use only the highest quality brisket and pork, season it with our own special rub, then slowly smoked to perfection. The result, tender, juicy mouth-watering BBQ! Or try our lightly smoked turkey, it’s moist and tender and served with Alabama hot slaw and spicy BBQ sauce. The Smokehouse serves delicious wraps, savory melts, salads and more. Ample outdoor seating is available at Anakeesta Plaza. We also offer assorted alcoholic and non-alcoholic beverages in our Beer Cart located next to the Smokehouse. SHOPPING – Shop our diverse array of pottery, mud love products, soaps, jewelry, home goods and more right here in our local area. Outdoor enthusiasts, browse our wide selection of Smoky Mountain books and shop for all gear and apparel needs for a day of hiking in the Smokies. Through our partnership with Water for Good, every product you purchase from our MudLove line provides one week of clean water to someone in need. We also offer the Milkhouse Candles which are a blend of waxes: pure beeswax and natural soy wax from soybeans grown in America’s Midwest. No artificial dyes are added and there is no lead in the wicks. Our blend of waxes provides a safe and clean-burning alternative to paraffin candles. 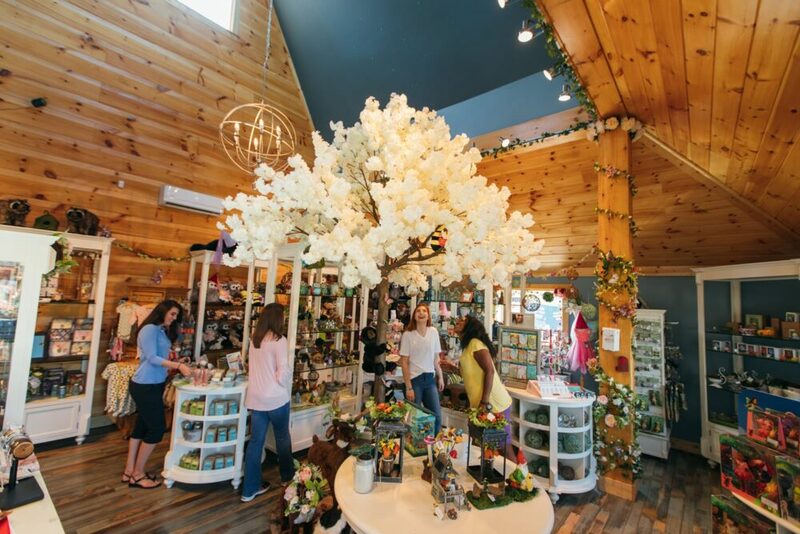 SHOPPING – Experience the enchantment of the forest at the whimsical Catching Fireflies boutique featuring toys and plush animals designed to ignite a child’s imagination and wonder of nature. Discover unique jewelry, melodious wind chimes, garden art, home goods and women’s apparel. We are proud to sell Bridgewater Candles. “In 2010 Bridgewater Candle Company felt the need to make a difference in our world. An issue close to their hearts was the worldwide hunger crisis, and specifically how it impacted children across the globe.” Each candle purchase feeds a child for a day. You can find out more about Bridgewater Candle Company here. Take home those special mountain memories with a professional photo. Our photographers are ready to capture your smile at the Chondola base station, on the chairlift before arriving at Firefly Village and on tower 2 on your Dueling Zipline adventure. Have a special event you want to capture? Proposing to the love of your life? Stop by the Information Booth at Firefly Village and speak with our staff to make arrangements for our photographer to capture the moment against the backdrop of the beautiful Smoky Mountains National Park! YOUR GATEWAY TO ADVENTURE – Visit the Adventure Outpost to begin your Dueling Zipline Adventure. Here you can purchase zipline tickets, fill out your waiver and check-in for a zip of a lifetime where you race side-by-side with a friend or family member, rappel our 2 controlled descents and then be transported via Chondola ride at our mid-station where you return back to Firefly Village. Shop our line of Anakeesta hats and t-shirts at the Adventure Outpost, the perfect way to remember your experience and the magic in the mountains.